A free e-magazine with an unabashed biblical worldview will be launched Dec. 16, 2013. 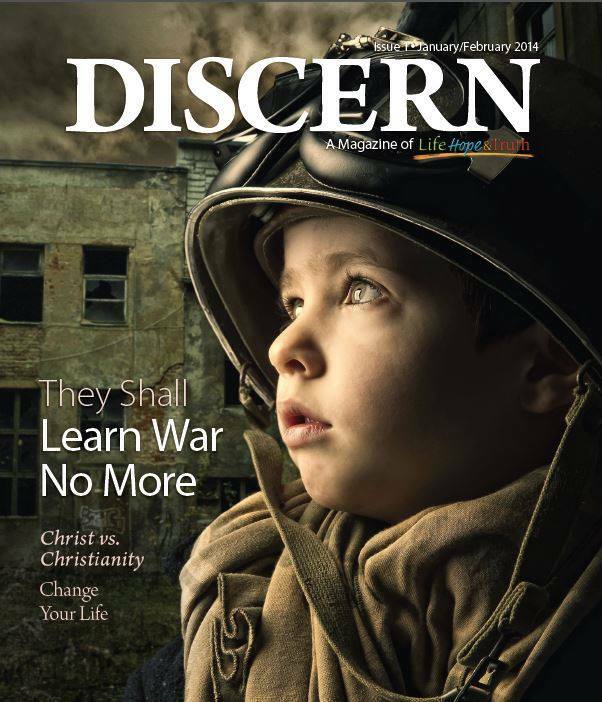 Discern: A Magazine of Life, Hope & Truth is designed to offer fresh perspectives and tested solutions to real-life problems. It will be written by long-time ministers and others with a passion for the Bible and a deep desire to help people. Each issue will have regular features, including two editorials, a regular news feature that analyzes world trends and a regular series titled “Christ vs. Christianity” (which takes commonly held religious beliefs and shows how Christ taught something entirely different). “Our editorial goal is to preach the gospel of the coming Kingdom of God as Jesus Christ did in Mark 1:14-15,” said Clyde Kilough, who heads the team producing the new publication. “We want it to be meaty, relevant, practical, encouraging and challenging—and we wanted to capture that sense in the title of the magazine. Discern is a word that appears in a number of scriptures and basically captures what is required to understand and apply the Word of God. “People all over the world are searching for answers to life’s biggest questions,” said Jim Franks, president of the Church of God, a Worldwide Association, Inc., which sponsors the new magazine. “Science simply cannot answer—and religion has not adequately answered—the moral and spiritual questions we wonder about: Why do we exist? Does my life have purpose? What happens after I die?” Discern magazine and the associated LifeHopeandTruth.com website seek to address these big questions. The Church of God, a Worldwide Association, Inc., is headquartered in the United States near Dallas, Texas. Its members, who attend congregations around the world in more than 50 countries, provide the financial support for Discern: A Magazine of Life, Hope & Truth. Free subscriptions are available at http://lifehopeandtruth.com/discern/.